My name is Anna Gaffney and in my day job I am a senior planner with the Scottish Environmental Protection Agency (SEPA). I have been working in planning for the last 11 years, and it is at the start of my career where my motivation to join an organisation such as APiC really began. My first planning job in 2007 was within a local planning department. It was the summer before I went to university and the first task I was given was to survey people about their local town centre. The purpose was to develop a clearer understanding of how people perceived and valued the town, and consider how future planning policy should be developed to better reflect people’s views and wishes in future. I spent four weeks talking to people on the streets about their shopping habits, their favourite places, and their least favourite places, along with a multitude other questions about their thoughts and feelings of the town. I had many long, rambling conversations with people of all different ages and backgrounds. It was an enlightening experience and opened me up to the diversity of thoughts and feelings people have about where they live! When I was finished, I went through the results and spoke with the local planning policy team. As my summer work ended, I was hopeful the policies the team would come up would reflect the survey findings. In the years that followed, town planning underwent a dramatic shift in the wake of the 2008 crash. Ambitious plans for regeneration were shelved; construction sites across the country halted; and planning teams lost vital resources. Like everyone, planners had to do more with less, and some of the key practises of how planners learned about the places they planned were no longer a priority. Such survey and research work I undertook in 2007 rapidly disappeared, and this form of engagement and trust between planning and the public was lost, and has never truly recovered… in fact, some would say it was never there at all! My motivation for joining APiC is to bring this dialogue back. It is vital planners have the skills, knowledge and opportunity to engage with people in our society, especially children. It is clear that the environments we live in today are not planned and developed with the experience of children in mind. Roads have never been busier; gardens have never been smaller; and spending on public spaces has never been lower. I don’t believe this to be the will of town planners across the country, yet it is clear that the system itself has been pushed towards development delivery at minimal cost, rather than the promotion of health and wellbeing for all. transitioning research and knowledge into practical child friendly environments on the ground. 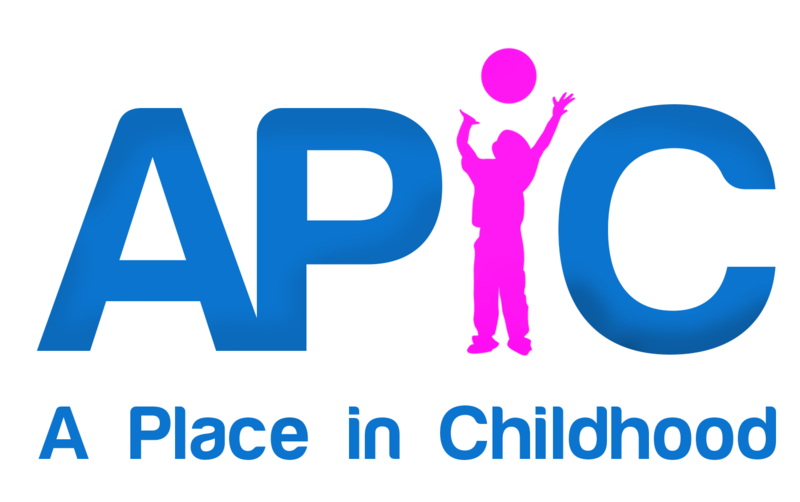 I believe the values and skills of APiC could be instrumental in instigating a sea change in how actors in the built environment sector include the perspectives of children in the development process. Therefore, my hope is that in the near future children are at the centre of decision making for placemaking and town planning, and the key activities of engagement, learning, appreciation and understanding are prioritised as a fundamental activity of the system.